In a recent letter to the House Ways and Means Health Subcommittee, the American Hospital Association (AHA) suggested several steps that Congress can take to immediately reduce the regulatory burden on hospitals and health systems. The AHA says the regulatory burden on hospitals and health systems is substantial and unsustainable and increased regulatory activity is making the situation worse. One example provided refers to the Centers for Medicare & Medicaid Services, which in 2016 released 49 rules related to hospitals and health systems that spanned almost 2,400 pages. 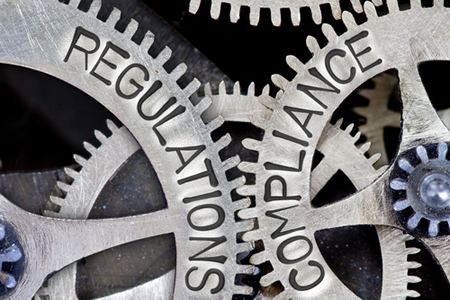 There has also been an increase in sub-regulatory guidance such as FAQs and blogs to help hospitals and health systems understand how to implement administrative policies. The AHA has suggested a number of ways that Congress can take action to immediately reduce the regulatory burden on hospitals, health systems and their patients. While the suggestions cover many areas, there are two suggestions relating to the Health Insurance Portability and Accountability Act (HIPAA) which AHA points out negatively affects patient care. Currently there are barriers that prevent beneficial sharing of patient health data. For example, HIPAA Regulations restrict the sharing of patient data for healthcare operations, including the use of data for quality assessment and improvement activities. The restrictions also apply to outcomes evaluation, activities related to evaluations of provider competence and performance, and to information about patients that has been disclosed to or received by providers that have or have previously had a patient relationship. The challenge in an integrated health setting is, in many cases, patients do not have a relationship with all of the healthcare providers with whom information must be coordinated. AHA suggests that HIPAA should allow all patients’ medical information to be disclosed to and used by all participant providers in an integrated care setting, and that it should not be necessary for a patient to have a direct relationship with all of those organizations that technically use and have access to the data. The AHA also suggests that all treating providers should be allowed access to patients’ substance use disorder treatment records. Currently, patients must provide consent before treating providers can access those records, which is an obstacle to integrated patient care. Further, in certain situations, not having access to that information can endanger patients’ health. This would ensure that all providers and organizations that have a direct treatment relationship with a patient have access to that individual’s complete medical record, including their history of treatment for substance use disorder. The AHA also suggested Congress cancel Stage 3 Meaningful Use requirements, pointing out that the regulatory burden on hospitals and health systems is considerable, yet those requirements have no clear benefit to patient care.